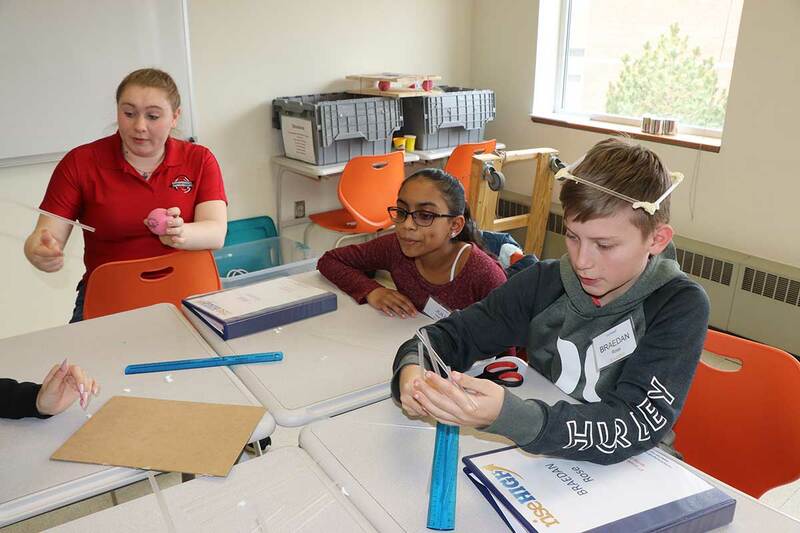 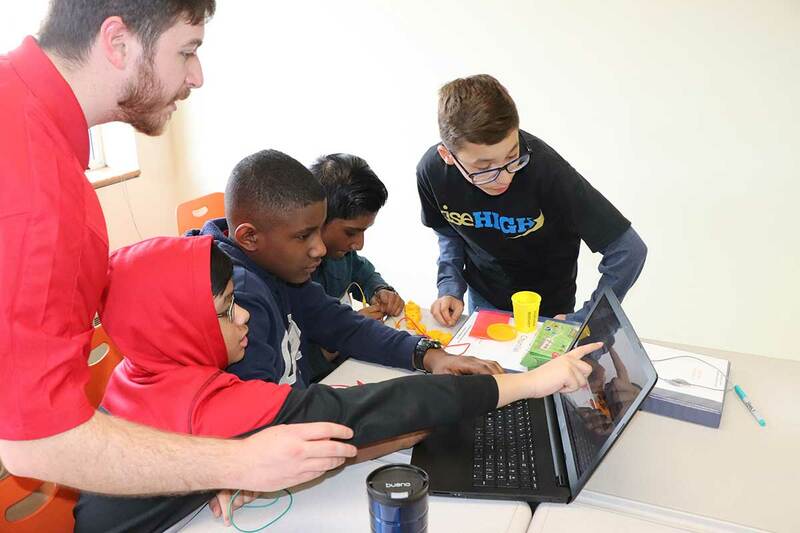 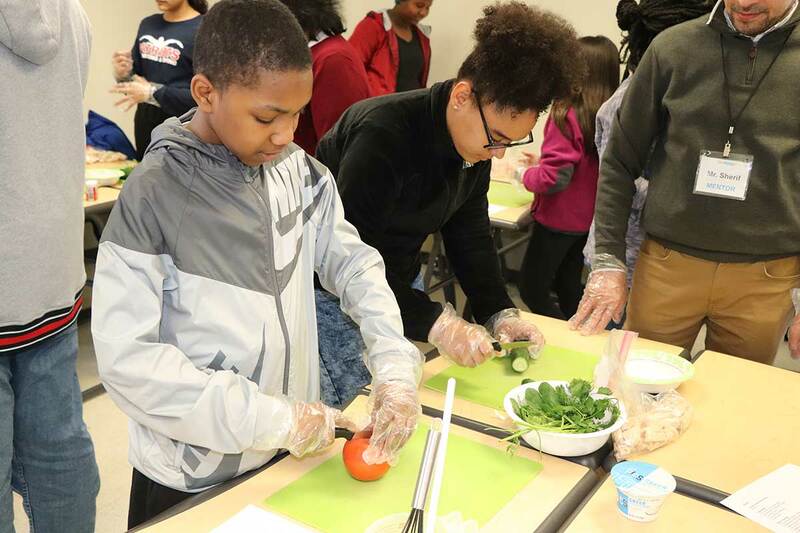 We hope the families of our 7th graders benefit from the new knowledge and skills learned by our students this weekend as they wrapped up their Nutrition Module. 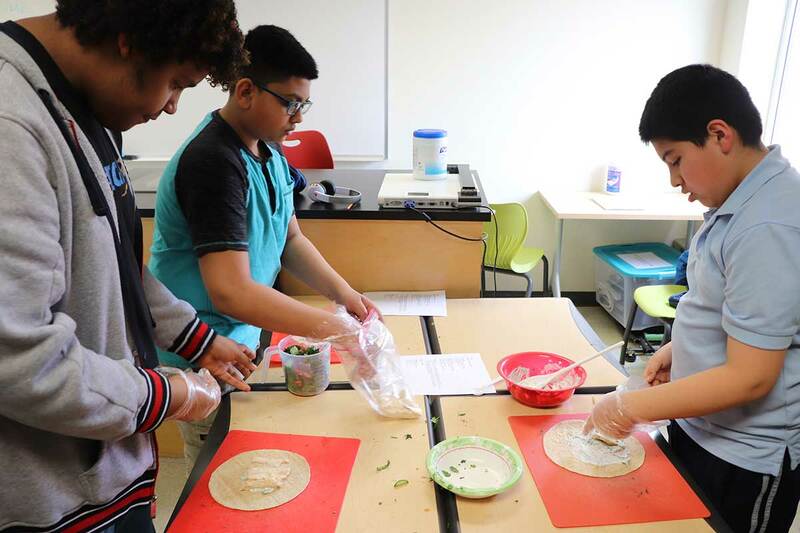 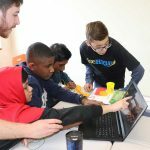 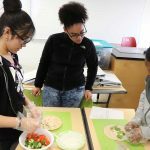 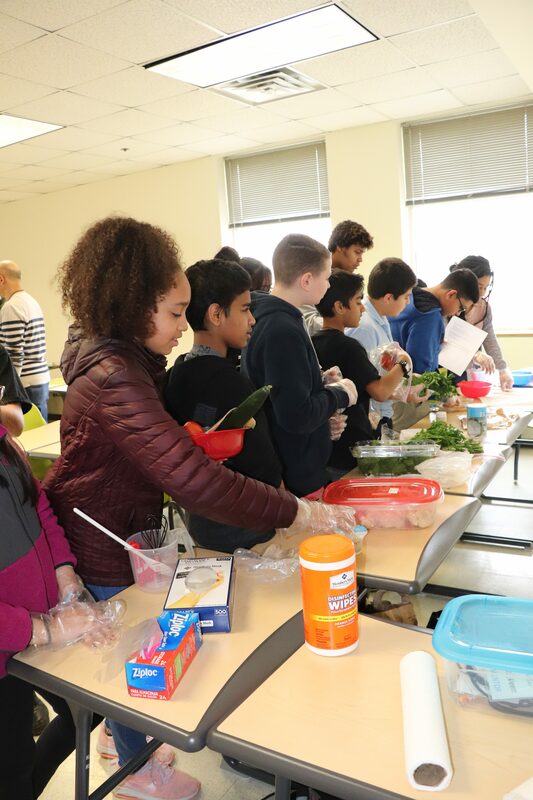 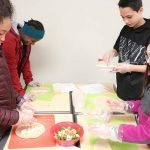 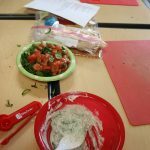 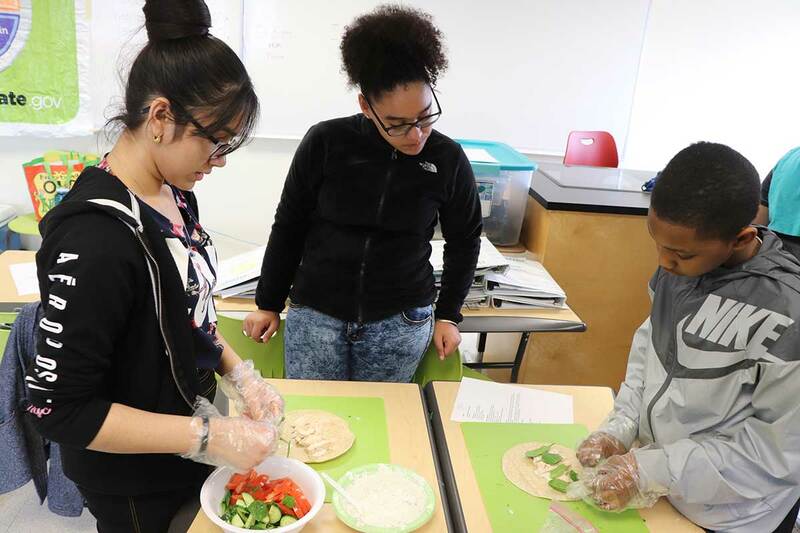 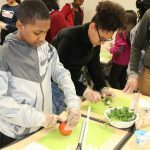 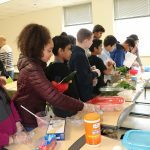 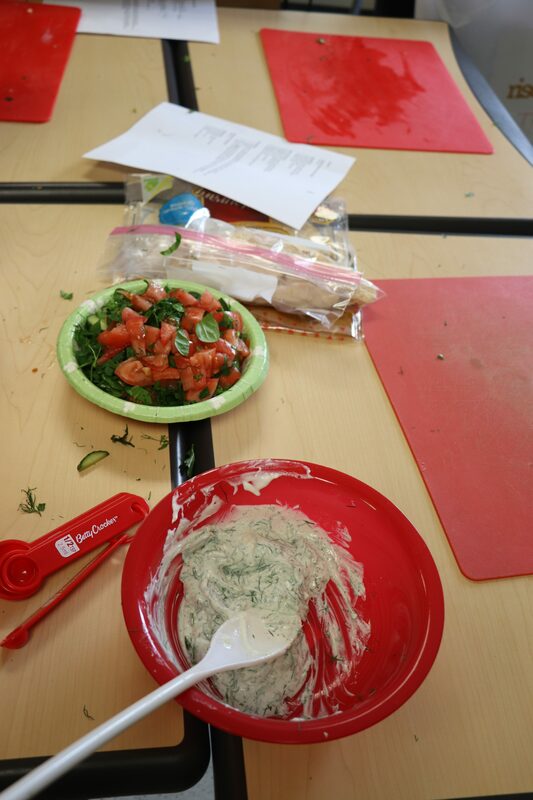 They not only learned about Nutrient Density applied to different scenarios and how to design a delicious and nutrient dense meal, but they learned some safe cutting techniques and food prep procedures before preparing their own lunch! 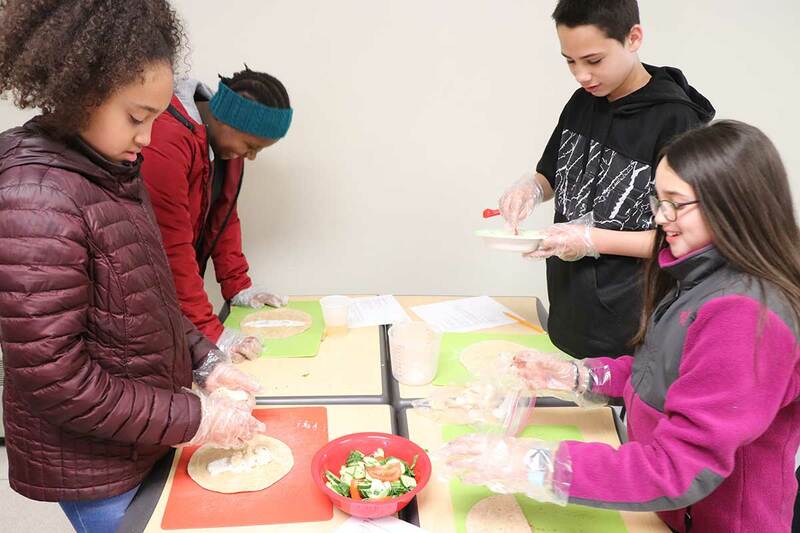 We look forward to hearing from how they’re helping with the preparation of family meals. 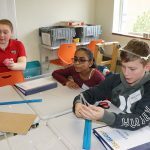 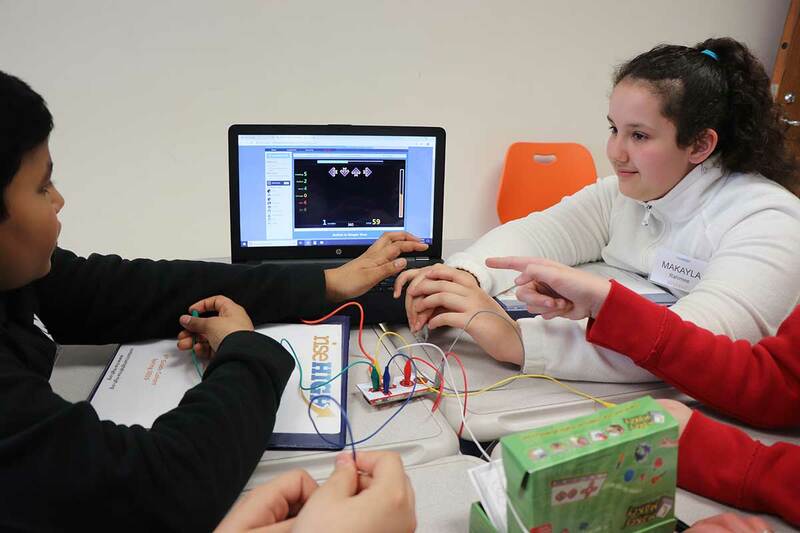 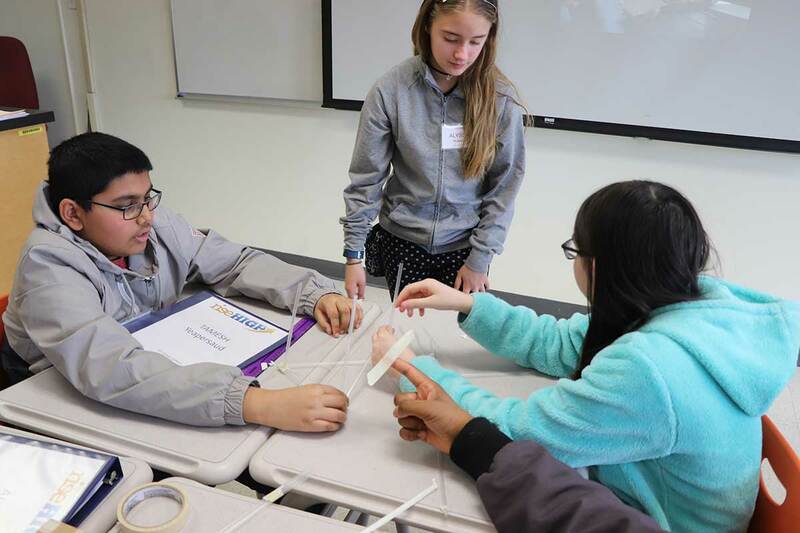 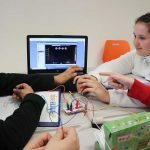 Meanwhile, our 6th graders were sharpening their skills in communication and teamwork to tackle the challenges presented. 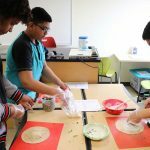 These are crucial skills in the world of science, and in life. 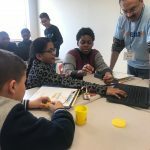 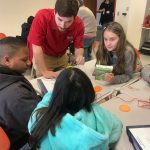 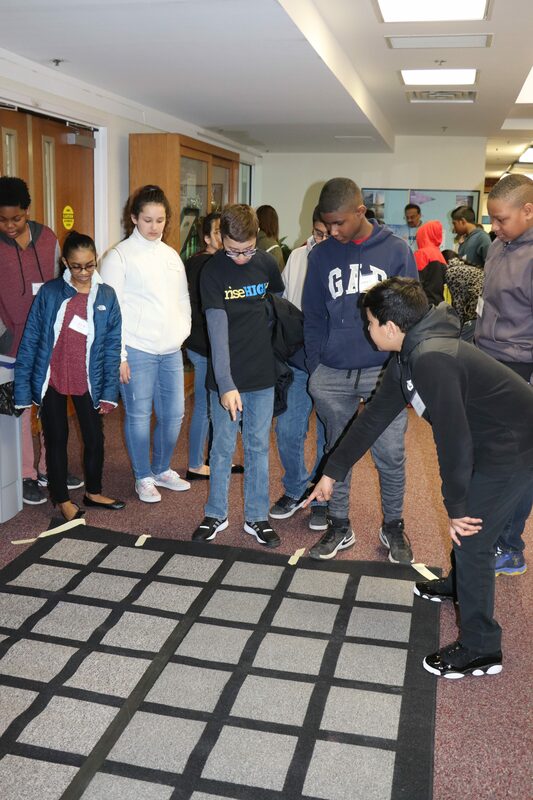 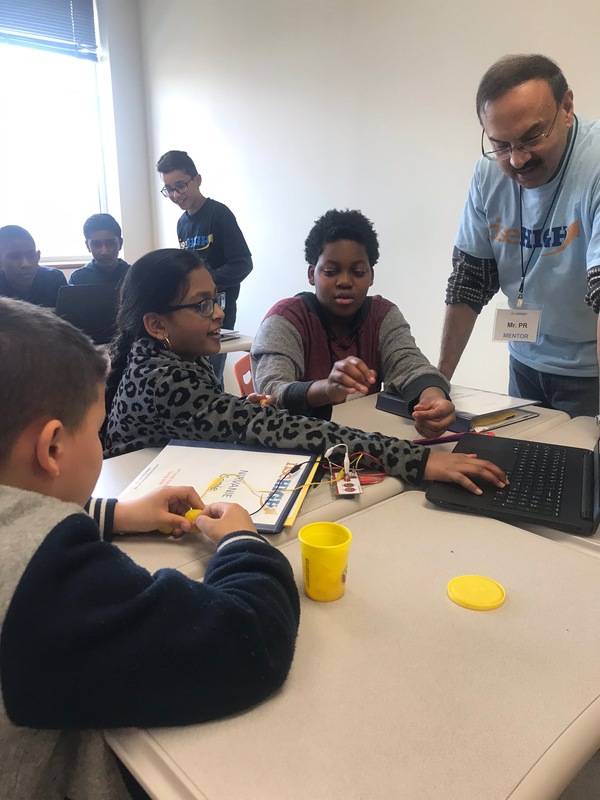 They also learned about what professionals in various engineering careers do, while exercising some of the skills required to do the job! 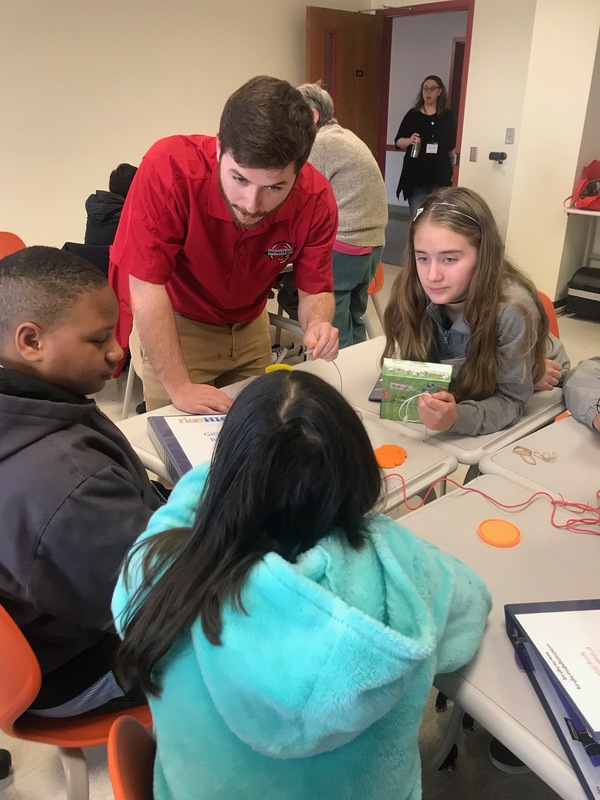 Thank you The Sage Colleges Nutrition Department and RPI Engineering Ambassadors for the great sessions, and SUNY Schenectady County Community College for hosting us!